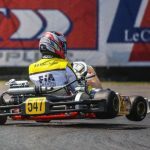 Trinidad & Tobago teenager Isa Deen stood on each step of the podium at Bushy Park Barbados on Sunday (September 2) to end the day top points-scorer in round three of the Radical Caribbean SR3 Cup (RCC). Deen’s victory in race three followed those of fellow-countryman Kristian Boodoosingh and Mark Maloney of Barbados in the earlier encounters, in which he had already finished second and third. Despite failing to add to his tally of two wins each in the earlier rounds, Maloney’s brother Stuart still leads the regional series ahead of the final round in Guyana in November. 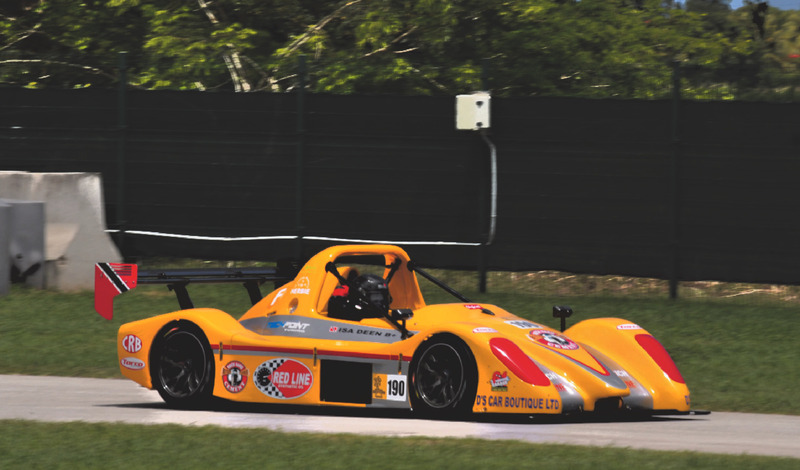 The championship’s most competitive day of racing yet repeatedly brought the Williams Digicel International Race Meet crowd to their feet, as the Suzuki-powered Radicals diced wheel-to-wheel on the 2.01-kilometre International Circuit. Three more drivers were podium finishers – Stuart Maloney, his brother Sean and Suleman Esuf, the last two former SR3 Cup Champions – while there was a spread of only eight-tenths of a second across each driver’s best lap time of the day. Heading in to the third round, having claimed four wins from the six races at the Frankie Boodram Wallerfield International Raceway in June and on the Bushy Park National Circuit in July, Stuart Maloney had a 22-point advantage over Mark. Not only is his lead now reduced to 13 points, but Deen’s results have promoted him to second place, ahead of Mark, with Boodoosingh fourth. Practice and Qualifying ran alongside sessions for the Seaboard Marine Caribbean Motor Racing Championship (CMRC) on Saturday afternoon, with points leader Stuart Maloney fastest in Practice, ahead of his brother Mark. Qualifying saw their positions reversed, as Mark claimed a record seventh SR3 Cup pole position in a hard-fought session that ended with the top five drivers covered by just 35/100ths of a second; behind Mark came Stuart, Deen, Esuf and Sean Maloney. 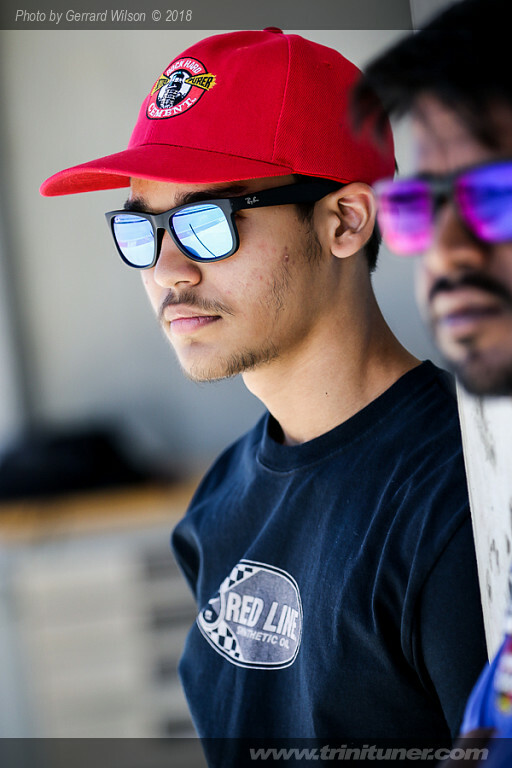 Boodoosingh and his team-mate Luke Bhola completed the grid. Mark Maloney made an excellent getaway from pole in the first of the three 12-lap races, extending his advantage in the early laps, as a huge scrap was under way behind him between his brothers Stuart and Sean, Esuf and Deen. On lap four, both Maloneys spun at the SeeSash Hairpin, Deen quick to pick his way through, up from fourth to second and now chasing the race leader. Mark Maloney’s lead had grown to more than 6secs by half-distance, but the determined Deen had it down to 1.2secs by the chequered flag, Esuf coming home third. Sean Maloney recovered quicker than brother Stuart, these two finishing fourth and fifth, ahead of Boodoosingh and Bhola, who had run as high as fourth mid-race. With the grid for race two based on the reverse of Qualifying, Bhola and Boodoosingh started on the front row, with Sean Maloney and Deen on row two, Esuf and Stuart Maloney on row three and Mark Maloney at the back. Bhola anticipated the start lights by a split second, then realised his error and stopped, only to then stutter slowly away from grid after nearly all had passed him except Mark Maloney; they then both retired at the first corner. Boodoosingh had made a clean start and led from lights to chequered flag, claiming his second SR3 Cup win. Sean Maloney ran second throughout, in the early stages holding off a strong challenge from Esuf, before he ran wide on the exit of the Bullet, allowing Deen through to hound Maloney to the finish. After many earlier efforts, Stuart Maloney eventually found a way past Esuf on the final lap to finish fourth, picking up an extra two points, which may well prove to be crucial at year-end. For the day’s final race, points scored earlier decide the grid: with 33 points each, Deen and Boodoosingh started on the front row, Deen on pole thanks to his better Qualifying result. Sean and Mark Maloney were on row two, Esuf and Stuart Maloney on row three, with Bhola at the back. A determined Mark Maloney made quick progress early on, moving through to second place to challenge race leader Deen, but he spun it away on lap five, dropping to the back. In what proved to be one of the best SR3 Cup races of the nearly 70 run at Bushy Park, there were close battles all the way, as category veterans Mark and Stuart Maloney made their way through the field, dicing with the T&T youngsters. While Deen led throughout, Stuart fought his way up to finish second, with Sean third, Boodoosingh fourth and Mark Maloney recovering to fifth, having clocked his 21st SR3 fastest lap. Esuf finished sixth, chased to the finish by Bhola, who was only 7.3secs behind race-winner Deen, having clocked his first sub-60 second laps of the International Circuit. 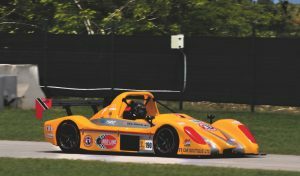 With 75 points on offer in the final round, at South Dakota in Guyana on November 11, there is still all to play for at the top of the Radical Caribbean SR3 Cup standings.